These fountains were created in the 19th century and the 1930s by unknown artists. The stone figures stand at approximately 35" high. 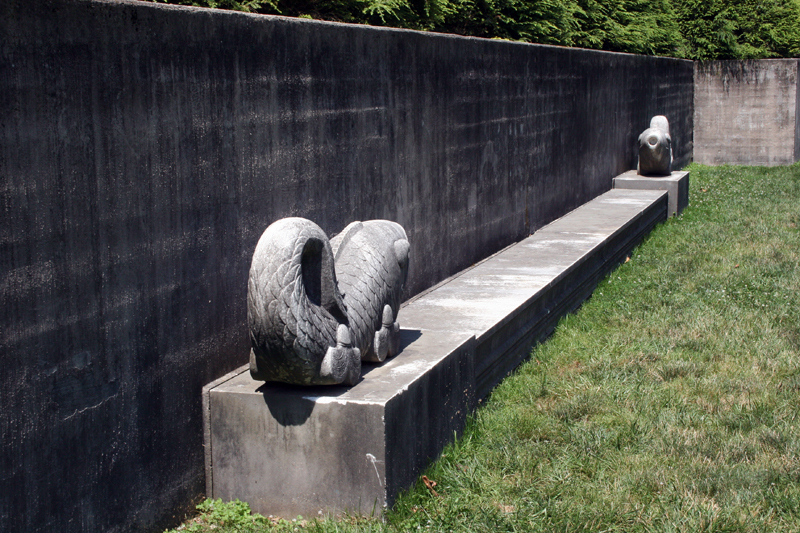 Two Goldfish are displayed in the Maze Garden and the other eight are in the Sunken Garden. 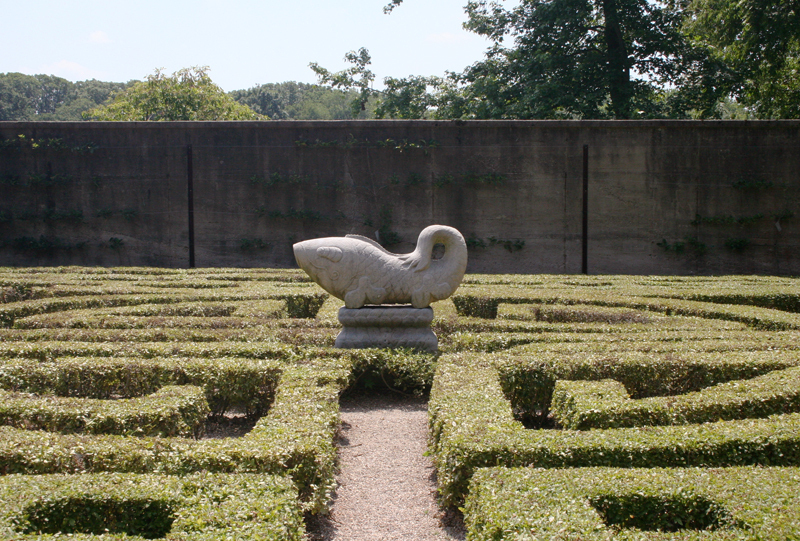 In 1930 Allerton bought two nineteenth-century fish fountains from a Peking dealer with the understanding that they came from a prince's garden, and he subsequently placed them in the Maze Garden. Soon after, he had eight nearly identical granite copies made for the Sunken Garden, but since these did not need to function as fountains, the water channels going through the originals were omitted. Striking in appearance, they are simplified to the point of abstraction, composed of delightfully curling tails, repetitive arc-patterned scales, playful renditions of eyes, mouths, and fins, and curved linear designs in their bases symbolizing waves. Although edges of a wide green lawn seem unlikely locations for fish, their presence nonetheless imparts a cool underwater aspect to the gigantic illusionary "swimming pool." In the twenties and thirties, sculptured dolphins, seahorses, fish, and mermaids cavorted in America's most elegant gardens, ponds, and fountains, sometimes sharing space with incongruous bulls, elephants, and polar bears. A taste for such creatures was evident in nearly all decorative arts of the period, and they appeared in the most utilitarian and modest of objects as well as in grand-scale mural designs. Two Goldfish can be found in the Maze Garden; Eight Goldfish can be found in the Sunken Garden; the other two can be found in the Maze Garden. 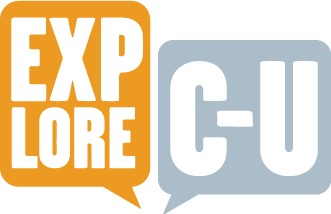 Muriel Scheinman, “Chinese Goldfish,” ExploreCU, accessed April 19, 2019, https://explorecu.org/items/show/54.